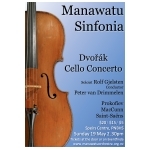 The Manawatu Youth Orchestra has an extensive library of original scores and arrangements for ensembles of all abilities. Any title may be borrowed for a period of six months or for such a period as is arranged at the time of borrowing. A renewal, should it be required, should be arranged as soon as it becomes apparent that it will be needed. The MYO cannot guarantee that a renewal will be granted if, in the meantime, another borrower has requested that particular title. Special charges may apply to particularly large-scale works. Courier fees may be charged as necessary.